Figure of eight mics pick up sounds at the front & the back of the mic but are not sensitive to sounds arriving at the sides. Some mics are better at capturing ceratin frequencies than others. For example to record a bass drum it would be sensible to choose a microphone than was efficient at picking up low frequencies. The manufacturers of microphones will normally publish a FREQUENCY RESPONSE CHART for the various models they produce & these will give us a very good idea of the performance of a mic over different frequencies. Let's look at the frequency response chart of the Shure SM58 & see what we can say about it. Across the bottom of the chart you can see frequency. From 20 Hz (the lowest frequency a human can hear) up to 20,000 Hz or 20 kHz (the highest frequency a human can hear) on the far right. The mics response to different frequencies is shown as the wiggly line in thick black. So we can see that at around 120 Hz the SS58's ability to capture low frequencies begins to drop off. By about 40Hz the SM58 is capturing nothing. This would tell us immediatley than an SM58 would not be a good model to choose when mic-ing an instrument with a lot of low frequency content. 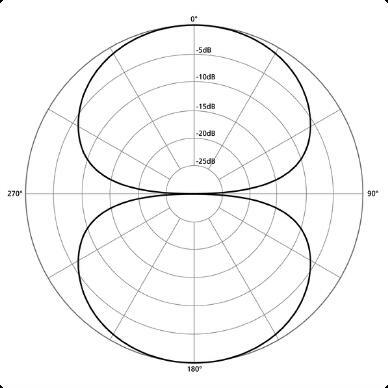 Looking at the upper frequencies we can see the line is far from straight. For instance there is a pronounced dip in the mics ability to capture frequencies at around 7.5 kHz. Also the mics ability to capture high frequencies drops off dramatically at around 10 kHz. So again the SM58 would not be a great choice for recording if capturing very high frequencies was important. The flatter the line the more "truthful" the mics interpretation of the original sound will be. With this in mind compare the frequency response chart for the AKG C414XLS. The frequency response is shown in red this time (Ignore the other coloured lines). Immediately you can see than the line is comparatively much flatter than that of the SM58. 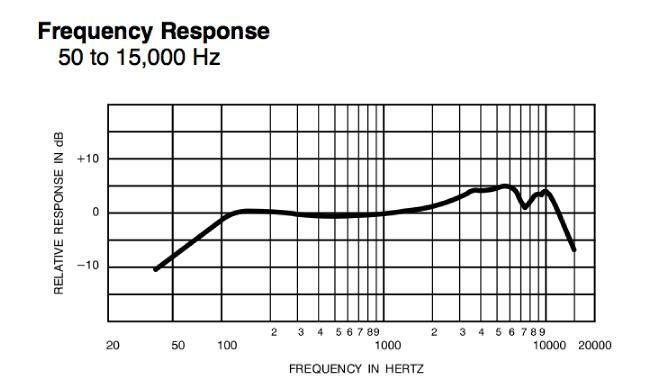 Looking at the low frequencies you can see the red line is flat down to 30 Hz & in the upper frequencies the mic goes on picking frequencies all the way up to 20 kHz. The AKG mic is therefore better on paper for recording both very low & very high frequencies & will give a more truthful representation of the original sound generally. Microphones' frequency responses are all different & this as much as anything is why each model sounds slightly different & has an individual "colour" or "character." You as an engineer, have to match a microphone's specifications to the particuar job you have in mind for it.